To enrich the quality of life of those in need within our community by providing practical and emotional support. For whom statutory help is not enough to give them a reasonable quality of life. Our Volunteers: We currently have over 200 volunteers, from all sorts of backgrounds. They all go through an induction process with us and are regularly invited to trainings & social gatherings. Clients can seek help personally, or are referred through a number of different routes, including social workers, caring organisations, and health professionals. A high percentage of clients ask for our help due to physical difficulty and the tasks requested most are transport and visiting clients at home. 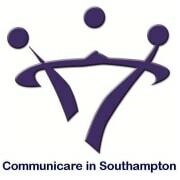 Would you recommend Communicare in Southampton?